SLP User Managed Locations | De B.A.A.T. Let the users manage their own locations. 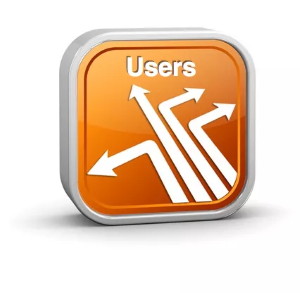 The site administrator can turn the “user managed locations” on/off on a per-user basis. Once enabled the user can add, edit and delete locations they own. Adds user managed locations features to the Store Locator Plus product. Requires Store Locator Plus 5.0.0 or higher and Power. Sites that have it installed, will need to upgrade to version 5.0 or higher. The site administrator can allow or disallow the ability to manage locations on a user-by-user basis. If allowed the user will see a Store Locator Plus / Locations menu in the sidebar of their WordPress login. When adding a location it will automatically be assigned to that user. They have full edit, delete and add capabilities for locations they own. Administrative users on the site have full capabilities for all locations as well as the entire Store Locator Plus administrative interface. Administrative users can also edit any location and set the store user field to any registered username on the system. Administrative users can change a store from being managed from one user to another, remove user-management capabilities or assign a manager to any location. If you use another plugin to manage your site roles and capabilities, two new capabilities are integrated into the Store Locator Plus base plugin and the Pro Pack to assist the User Managed Locations add-on pack. These roles are manage_slp_user and manage_slp_admin and are wrapped around various menu items to restrict access to standard users and not administrative users.